Last Thursday and Friday I was in Charlotte for a number of meetings. They were arranged by Mac McCarley, the Charlotte City Attorney, who is our consummate promoter and volunteer leader. On Thursday afternoon I met with Charlotte’s new mayor, Anthony Foxx. He is an impressive young man. He grew up in Charlotte before going to Davidson and becoming student body president. 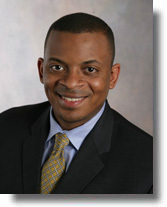 After graduating from New York University Law School, Foxx clerked for Judge Nathaniel Jones on the Sixth Circuit Court of Appeals. He has worked as a lawyer in the Voting Rights Section of the Civil Rights Division of the US Justice Department, and he served as Counsel to the Constitution Subcommittee of the House Judiciary Committee. He served two terms on the city council before becoming mayor. At age 38 he is the youngest person ever elected mayor of Charlotte. Here are some of the things he mentioned in a wide-ranging conversation. His top priority is jobs, jobs, and jobs. He asked if it is possible to develop a Web-based approach to economic development that would allow prospective businesses to get a realistic sense of their likely incentives? The idea is to give them more than an overview of the different categories of incentives. Mayor Foxx believes it would help recruitment if businesses could go online and get a firm set of basic commitments. My impression is that most incentives are tailored to the particular situation of each business, and I don’t know if it is realistic to assemble a basic platform of options that could be supplemented with other incentives if desirable. He believes that some states use this sort of online tool to great advantage. Mayor Foxx expressed interest in improving the criminal justice system—he seemed wide open to ideas and he wants Charlotte to be a laboratory for innovation. He referenced a case management system that is being piloted in Wake County, but he seemed to be looking for other options. He also is interested in analyzing public investments and costs in different ways and communicating more effectively about them. We didn’t explore any of these issues in detail, but I think his interest involves making more expensive front-end investments in certain areas that would produce greater efficiency and effectiveness over time. Mayor Foxx mentioned environmental sustainability issues as one example. How do you convince people to spend more money today in order to save money later or to produce a larger impact down the line, especially when money is so tight? The other broad interest that Mayor Foxx talked about was homelessness and affordable housing. Charlotte has created a lot of affordable housing through innovative public-private partnerships in the downtown area. The need for low-cost housing continues and homelessness is a pressing issue. Every night in Charlotte the number of homeless people equals the total population of many small North Carolina towns. I spent a fair amount of time describing some of the ways that we already work with Charlotte officials, and of course I thanked him for Charlotte’s support. He would love to have our help in working on some of the issues he identified. Any ideas?